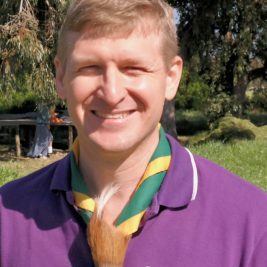 With Akela 2016 at our doorstep we are still chatting to Cubs nationwide. 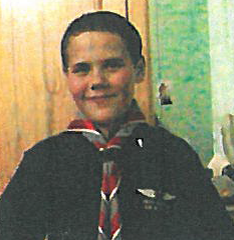 Today we are talking to Eric Cecil Shutte (10) from 58th Duebow Cub Pack in KwaZulu-Natal. Cubbing is fun because I get to go on camps and learn new stuff. I also get to make new friends out of school. A stew that I cooked in tin foil over a fire was the weirdest thing I ate outdoors. Going to the Soapbox Darby (Eshawe) was the toughest challenge. I visited the Midmar Dam and we had lots of fun even when it was raining. I have learnt how to fix a tap, cook on a gas unit, the safety of lightening a match, first aid and also how to listen to Akela. I have helped clean up gardens and removing litter. I taught my mum how to cook stew in tin foil on the fire. A good Akela has fun with us, teaches us about our environment and about survival tents and also how to survive in the wild. My Akela is special because she helps us with our projects and she makes me feel special. Cubbing Rocks because … you get to go on camps, learn things and make lots of friends!